How Much Compensation for Emotional Injuries? Our clients in 2014 have incurred millions of dollars in medical bills. But the real harm in personal injury cases is the physical and emotional pain and suffering that comes with the victims’ injuries. Today we are going to look at compensation for emotional injuries in accident and medical malpractice cases. Let’s start out with some hard number on compensation for emotional injuries nationally, provided by Jury Verdict Research. This category includes cases involving emotional distress or post-traumatic stress syndrome. It is always interesting for a personal injury attorney to hear about trial verdicts in accident cases. We subscribe to Metro Verdicts Monthly which summarizes primarily personal injury accident cases in Maryland, the District of Columbia, and Virginia. Basically, Metro Verdicts Monthly calls the attorneys involved in the case and tries to get the key details of the case from them. One of the most interesting facts is the pretrial demand and offer. (Sometimes, the lawyers cannot even agree on that which does not make you wonder how the case went to trial!) Metro Verdicts Monthly will also – for a fee, of course – conduct research of similar cases to your facts. Our accident lawyers have used this on a few occasions in fighting motions from defense lawyers to reduce the jury’s verdict in personal injury cases. 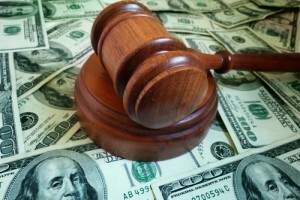 Can Lawyers Properly Value Personal Injury Cases? When trying to figure out the settlement value of a personal injury case, trial attorneys pull from usually only one resource: they’re own experience. We pull from our own cases and from cases we have heard about from other lawyers. But how good are we at valuing cases? First, it is important to underscore how unbelievably important this skill set is for trial lawyers. Most of the time, when a case goes to trial, it is because someone miscalculated the value of the case. The insurance companies rely heavily on data in valuing cases (which sometimes reliably cements their reputation as unfeeling robots). While they deny it, they continue to believe that they can predict how much money a jury is likely to award based on the relationship between the amount of special damages (medical bills and lost wages) and the award for noneconomic damages. Sometimes this logic does hold. The key skill for personal injury lawyers if being able to identify which cases defy the data because of intangibles that data cannot measure. Most notably, insurance companies invariably devalue the character, or lack thereof, of the plaintiff which is just an unbelievably critical value marker. So the insurance company’s predictions misfire both ways. Knowing when the insurance company has miscalculated the value of a case gives you a tremendous advantage over the insurance company because you know which offers or demands should be accepted – some will be steals – and which cases should be tried. An article titled “Predicting Civil Jury Verdicts: How Attorneys Use (and Misuse) a Second Opinion” written in the Journal of Empirical Legal Studies provides the answer as to how personal injury attorneys do as a class in estimating verdicts: not good. The average error for lawyers in predicting the value accurate was 0.387. For a verdict of $100,000, this is equivalent to an estimate of $244,000 or $41,000. That’s a big range. With those estimation skills, it is a wonder more cases don’t go to trial. You can find information as to how the victim’s age factors into average verdicts here. How does this compare to adult men? Men have a higher average award; woman received a slightly higher median award. I’m not looking at the raw data but the differences appear to be statistically insignificant. This data excludes, for some reason, loss of services. The median loss of services awarded to surviving spouses of women, 49 years old and younger, was $562,500. Spouses of women age 50 recovered a median loss of services award of $742,591. Minor children of women killed in tort cases received a median loss of services award of $1,000,000, and adult children received a surprising median award of $200,000. Jury Verdict Research looked at plaintiffs’ jury awards to get an idea of the value of different types of business negligence injury. The most frequently injury, not surprisingly, was disc injury claims which made up 12% of the total cases. Interestingly, emotional distress was the next most frequently reported injury at 10%. No, I don’t know exactly what this means, either, but let’s go with it. Back strains, I’m think mostly soft tissue injury, was 7 percent. 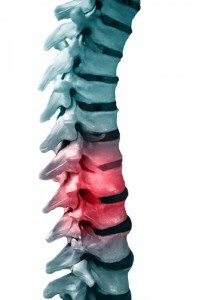 Bad faith, death and spinal nerve cases each comprised 6 percent of the total plaintiff awards. Brain injury cases accounted for 5 percent, while head injuries, knee injuries, leg injuries, and shoulder injuries each accounted for 4 percent of the cases. All other injuries each made up 3 percent or less of the total number of plaintiff awards. The average business liability claim is worth a lot more than the average personal injury claim. Why? The first, and most obvious, businesses typically have deeper pockets because they have better insurance coverage and assets to stand behind verdicts than most car accident cases. We have handled a lot of car accident wrongful death cases where the recovery is $100,000 or less simply because there is no coverage. Serious injury and death business liability cases are also getting higher value because these injuries do not discriminate as much based on age. Many malpractice cases involve older patients – they are getting more treatment than younger people – so they tend to get less in terms of future economic damages and their life spans are just not as long. The most stunning gap between the probability ranges is in brain injury cases. According to this data, 25% of brain injury cases involve an award less than $123,000. You have to ask yourself how they defined brain injury for the purposes of the study. I can’t ever remember seeing a brain injury case some in for less than $123,000 but these statistics suggest that 1 in 4 cases comes in below that number. I would assume they are using head and brain injury interchangeably but they are not: head injury is a separate category in the data. You should not expect to see verdicts this high in Maryland business negligence injury cases. The reason is contributory negligence. Theoretically, if you are looking at jury verdicts as opposed to settlements, it should make no difference. If there is a verdict, ostensibly the jury found the defendant 100% responsible. But it really does not quite work that way. 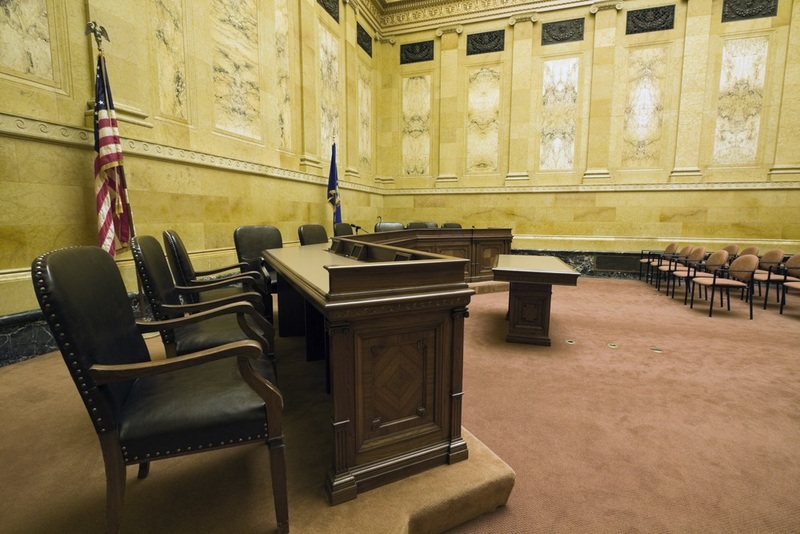 If a jury is making a tough call on liability, they will often compromise the damage verdict accordingly. Some of this is subconscious and some of it is actually the result of a compromise in the jury room. But average verdicts in Maryland are not quite what these verdicts would suggest. Jury Verdict Research has some interesting statistics on verdicts on money damages awarded at trial in premises liability claims. Also included in the report is a look at median awards in different types of premises liability cases. So, at least theoretically, we have on average the same injuries but different defendants. The median award for premises liability claims against owners/operators of industry property was the highest at $250,000. The median awards for other premises liability cases, according to the studies were: $125,000 against recreational facilities; $114,726 against government property; $95,883 against service establishments; $75,000 against residential property owners; and $82,500 against retail stores. I’m probably overstating the case. Owners of industrial property are far more likely to be mixing with dangerous activities, I’m sure. Still, the differences in the data is pretty striking. Juries definitely consider who their plaintiffs and defendants are and that invariably gets factored into the verdict. It really shouldn’t. But juries are human beings. JVR has done a national analysis of jury awards for spinal nerve with disc damage. The study underscores is what every plaintiffs’ lawyer has figured out by osmosis if nothing else: age matters. Young people recover much better than older people. The overall median award to plaintiffs age 18 and under was $43,997 while the median award to plaintiffs between the ages of 19 and 29 was $67,612. 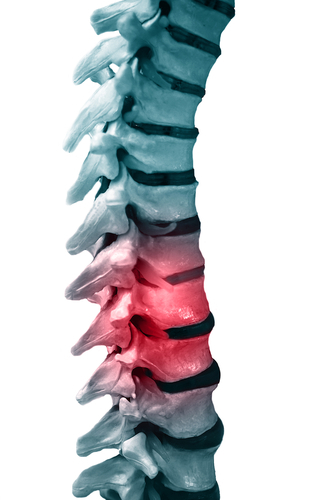 Plaintiffs between the ages of 40 and 59 who suffered spinal nerve with disc damage received a median award of $103,723, and plaintiffs age 60 and older received a median award of $100,000. The interesting thing about the age numbers is that at some point you see they begin to turn again as juries increasingly start to blame age for the injuries. I bet if you took this up to 70 and 80 you would see the numbers continue to drop. Did you see any major surprises here? I didn’t except for seeing leg injuries with 50% more million dollar verdicts than paralysis injuries. Thankfully, I think this might be most attributable to the fact that paralysis is, relatively speaking, a rare injury in a car accident. Where are the million dollar verdicts geographically? The Southwest – comprised of Arizona, California (which I suspect did a lot of the heavy lifting to push these numbers), Colorado, Hawaii, New Mexico, Nevada, and Utah – has the highest percentage of million dollar verdicts with 19%. The Northwest – with Alaska (which generally has high awards actually), Idaho, Montana, Oregon, Washington, and Wyoming has the lowest percentage of million dollar verdicts at 7%. No shock there, either. The much anticipated list of judicial hellholes is out. 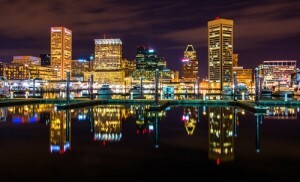 Baltimore made the list once again. The write up on Baltimore begins with the notion that for evidence that Baltimore is a judicial hellhole, well just ask Miller & Zois. Baltimore has been described as an up-and-coming Judicial Hellhole for years, but don’t just take our word for it. 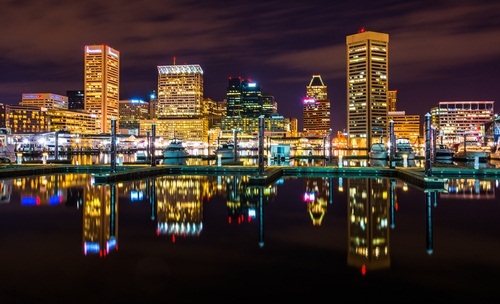 Plaintiffs’ firms, such as Miller & Zois, advertise Baltimore as “a favorable jurisdiction for plaintiffs’ injury lawyers. Is Miller & Zois calling the city a jurisdiction “favorable” for plaintiffs’ attorneys tantamount to prove that Baltimore is a “judicial hellhole” for defendants? If so, I really need to adjust my expectations. But that is just the start. This report prefers rhetoric to exactitude at every turn and basically reads like a college term paper that was turned in a that last minute. It complains “Judge Glenn” – actually retired Judge Glynn – is rigging the asbestos docket. How? The report does not exactly say. It implies it is by consolidating the cases. Yes, the asbestos cases in Baltimore are consolidated. Baltimore joins a zillion other jurisdictions that have done the same thing. Why? The cases are consolidated on causation, not product identification or damages. This is not a class action lawsuit. The cases are consolidated on damages because it is simple to prove. If you got mesothelioma you either got it from asbestos or you were a vermiculite miner. Call me crazy, I’m willing to let the court figure this out for scheduling purposes. This is how this report reads from top to bottom. The whole premise of this beat down of Baltimore is just filled with unsupported innuendo. The impression left is that asbestos cases being filed in the city are because of forum shopping, Plaintiffs’ attorneys looking to get to these juries. But the auto plants, shipyards and steel mills, as well as many of the other defendants (Locke Insulators, for example) are located in Baltimore. That’s not forum shopping, it is filing a lawsuit where the harm occurred.